My Favorite Beautiful and Stylish Oval Shape Glass Top Coffee Tables! 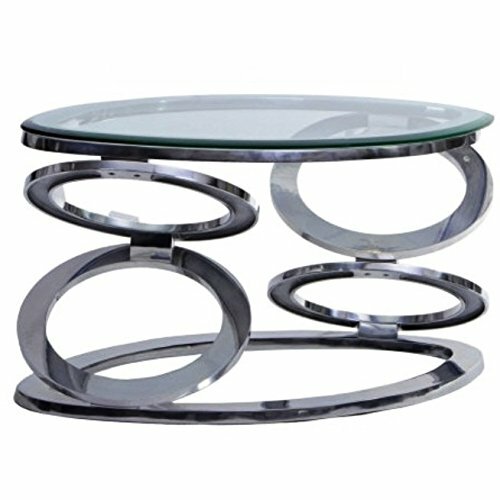 If you are looking for the most beautiful, unique and ultra-stylish glass top oval shaped coffee tables for sale today, I think you are in for a pleasant ‘oval’ surprise! Have you ever seen such a gorgeous oval coffee table with glass top before? It has a very cool ‘tree design’! The legs are designed as pine branches complete with pine needles and pine cones! 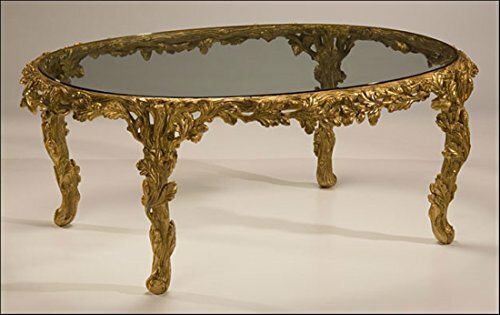 This is a very fancy and expensive unique antiqued gold leaf design oval glass top coffee table made in Italy! 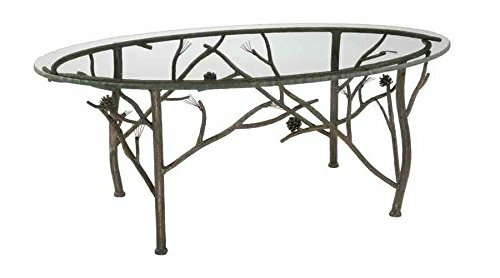 Stunning Oval Glass Top IRON TWIG Elm Tree Design Coffee Table! This has got to be one of the most unique glass top oval coffee tables around! 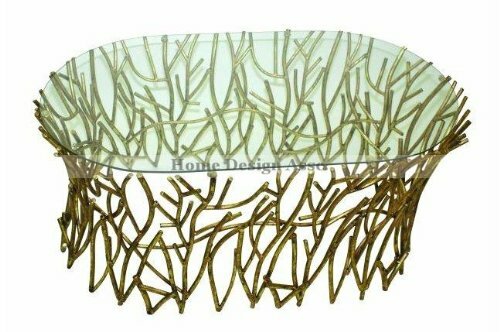 It has a stunning elm tree twigs design in a gorgeous gold finish! 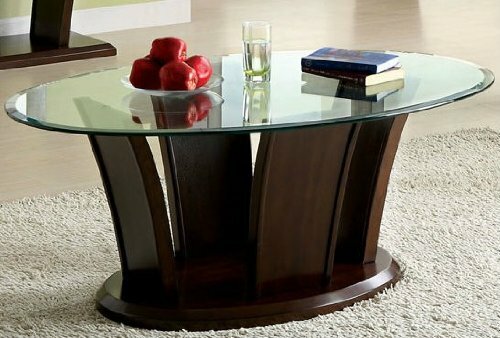 If you are looking for a modern and elegant but affordable oval glass top coffee table for sale, I think you are going to like this one! 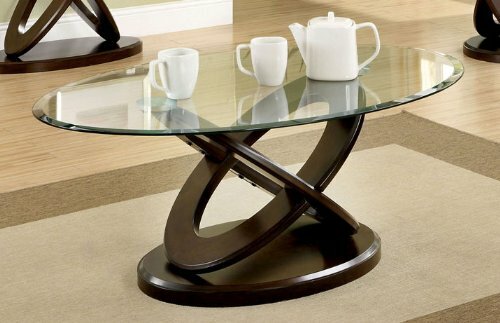 It has a very cool crossed-oval table base in a rich dark walnut finish! Perfect match to a nice dark brown sofa set! Very Modern Oval Glass Cocktail Table! 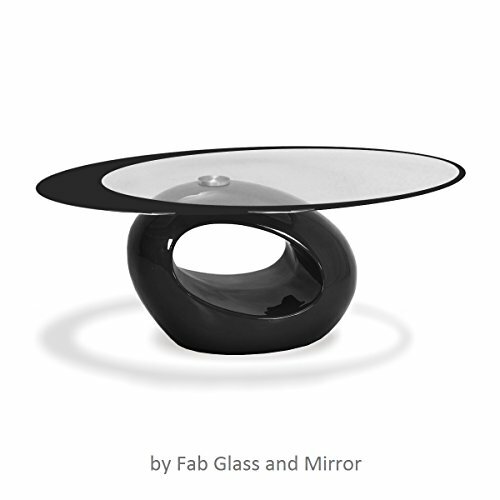 Another beautiful and ultra-modern oval glass-top coffee/cocktail table with a cool and very stylish black color oval shaped base! Will make any living-room look cooler! 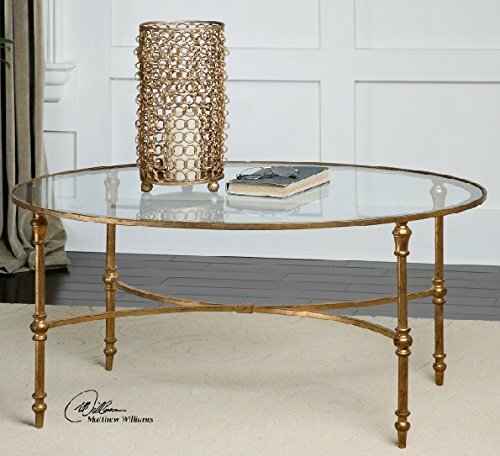 Another stunning oval glass-top coffee table with a beautiful iron frame in a gold finish! Will stand out in the living-room! Very Cool Boat Shape Base Oval Glass Cocktail Table! 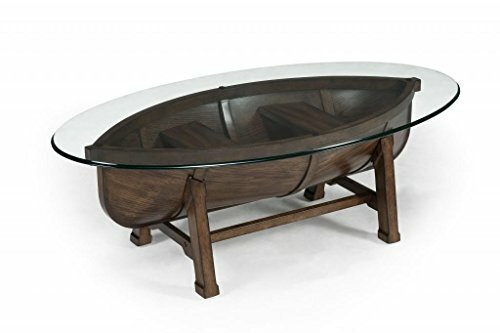 It is a wood canoe base oval glass top coffee table for sale! You can also use the ‘boat’ to store stuff inside! I am in love with this table! *It’s going to look amazing paired with this wooden canoe bookcase! This is one of the cutest oval glass top coffee tables around! It has a beautiful decorative metal floral motif underneath the glass top and a nice hardwood brown sugar finish frame! 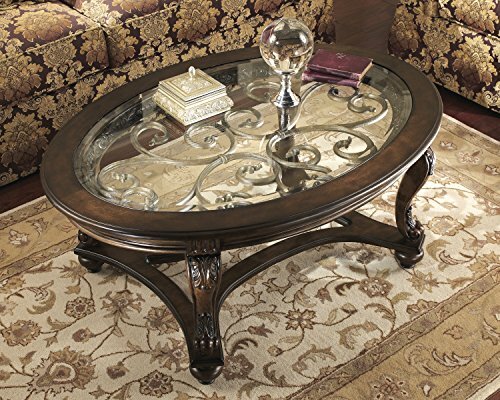 Another favorite of mine is this beautiful oval glass top coffee table with a gorgeous dark cherry finish wood pedestal base! It is also a sturdy table and the price is great! And last, but definitely not least in my selections of stylish oval glass top coffee tables for sale, is this stunning and very unique steel discs base oval shaped coffee table! Will definitely complement a very modern living-room! The Most Unique Coffee Tables for Sale!